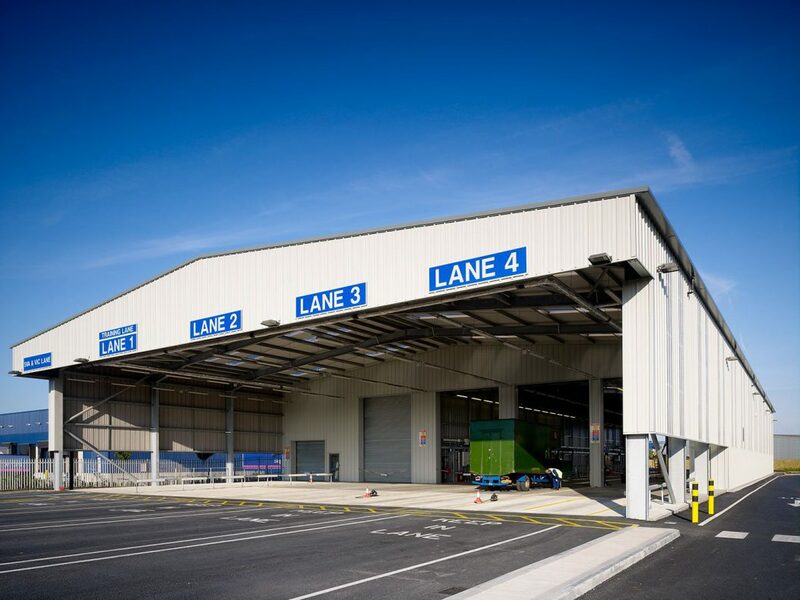 We were commissioned for this project as part of our Nationwide Partnering Framework appointment with VOSA for works to Heavy Goods Vehicle Test Stations. 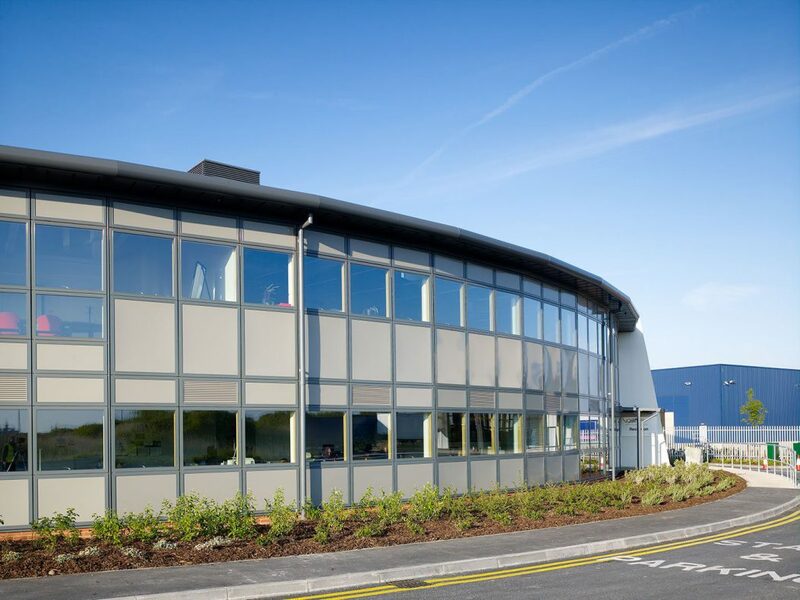 VOSA required this stand alone office to be an exemplar sustainable building. It was designed to maintain a comfortable working environment without air conditioning. Its non-occupied spaces are placed on the south side with small window openings that buffer the occupied office spaces on the north side. This avoids solar gain and allows the offices to have large windows to maximise natural daylighting. 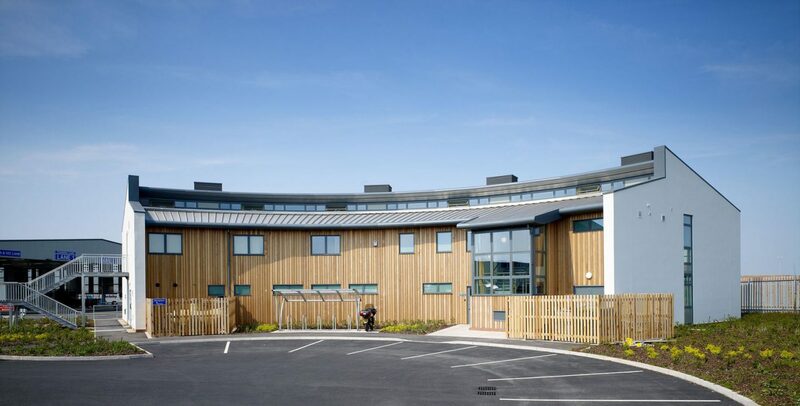 The building incorporates high thermal mass and natural stack ventilation, with BRE ‘A’ rated materials used wherever possible, including high levels of thermal insulation and cedar cladding. Rainwater harvesting was incorporated, with solar photovoltaic cells mounted on an adjacent industrial building to provide electricity for the offices. The building was awarded a BREEAM ‘Excellent’ rating. The project was awarded South West and South Wales winner in the “Project up to 2,000sqm” category by the British Council for Offices. We also won a Constructing Excellence Integration and Collaborative Working Award as part of the VOSA Partnering Team.